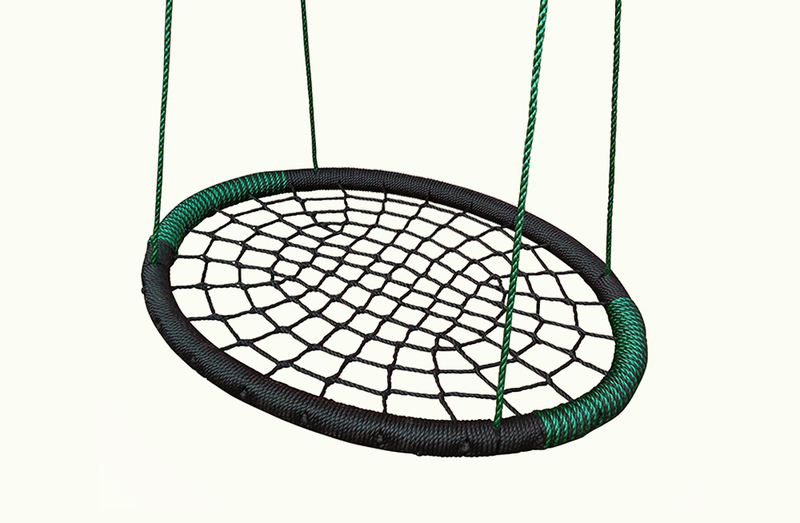 This outstanding web swing measures 42”x33”, and is large enough to hold two happy kids; supporting up to 250 pounds. With a sturdy rim for easy grip, and a center net crafted from strong, polypropylene rope netting; your children have a safe, friendly surface to hold, sit, and lounge on. Even better, the Monster Web Swing is easy and fast to assemble, quickly attaching to your playground’s swing hangers. 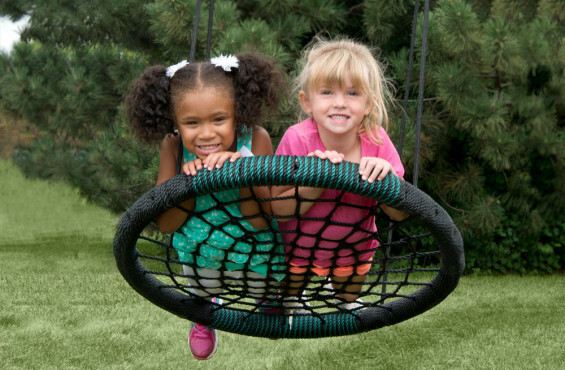 This state-of-the-art spider web design allows children to collaborate by swinging in multiple directions; promoting social skills, building kinesthetic awareness, and developing teamwork. Watch your kids delight in this funky, wacky, super cool experience.